Using the right screw makes every job easier, Screw Product makes the best screws ever. 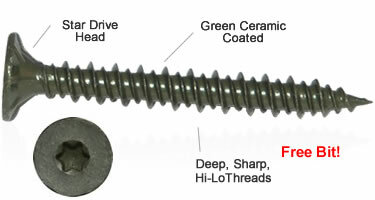 CB Star Drive Cement Board Screws, 1-1/4" & 1-5/8"
Always a Free Bit Included In All Packaging! #8 X 1-1/4" & 1-5/8"